China's Didi-Kuaidi Group announced plans to donate CNY1 million to help people in Nepal and China's Tibet who were affected by the recent earthquake. At the same time, the group is calling tfor he attention of Chinese netizens to participate in the earthquake relief. 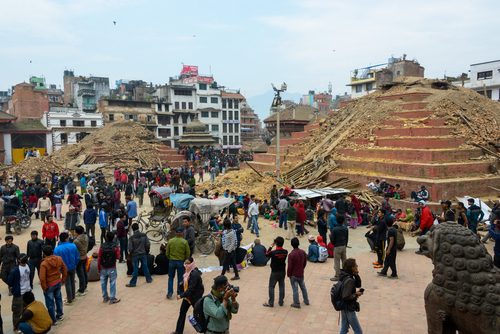 On April 25, 2015, Beijing Time, a 8.1-magnitude earthquake hit Nepal and caused over 4,200 fatalities so far. The earthquake also affected China's Tibet region and triggered an avalanche on Mount Everest. In addition, Kyirong and Nyelam counties in Shigatse felt the quake and medical vehicles and equipment are urgently needed by local people. To help people in those areas, Didi-Kuaidi donated CNY1 million to the China Women's Development Foundation and the donation will be mainly used to purchase disaster relief vehicles. Prior to this, Didi-Kuaidi already cooperated with China Women's Development Foundation in the launch of a special foundation for women. This foundation aims to solve traveling difficulties for women.